"He was in great touch, was backing himself." The third T20I between India and New Zealand in Hamilton saw a major controversy taking place right at the fag end of the game. Well, calling it a major controversy would be an exaggeration but one cannot deny the fact that the incident left many utterly surprised including Krunal Pandya who was at the receiving end of the whole episode. The incident took place in the final over of India’s innings. Chasing an improbable 213 in the series-decider, India needed 16 runs off the final over. The onus was on Dinesh Karthik and Krunal Pandya to pull off the chase. The duo had joined hands in the middle when the visitors were reeling at 145 for 6 in the 16th over of the innings. The two hit some big blows to bring the chase back on track before the final over began. Kane Williamson gave Tim Southee the responsibility of winning the game for the hosts. Karthik was on strike when the over began. The right-hander scored a double off the first ball before conceding a dot on the following delivery. The third delivery of the over then saw the drama unfolding. After smashing the ball towards long-on Karthik left everyone shell-shocked by denying Krunal a single. Krunal had almost reached the striker’s end and was forced to return to his end. Karthik had no option but to take a single off the very next delivery but the damage was already done. He went on to finish the game with a six but India ended up losing the game by 4 runs and conceded the series 2-1. Meanwhile, the cricketing fraternity is busy talking about Karthik’s denial to take the single rather than the loss. Fans compared Karthik with MS Dhoni as the latter had also done the same with Ravi Ashwin against Australia in the triangular ODI series back in 2012. But unlike Karthik, Dhoni had won the game for India. While the jury is still out on whether Karthik was right or wrong, veteran commentator Harsha Bhogle has given his verdict on the incident. 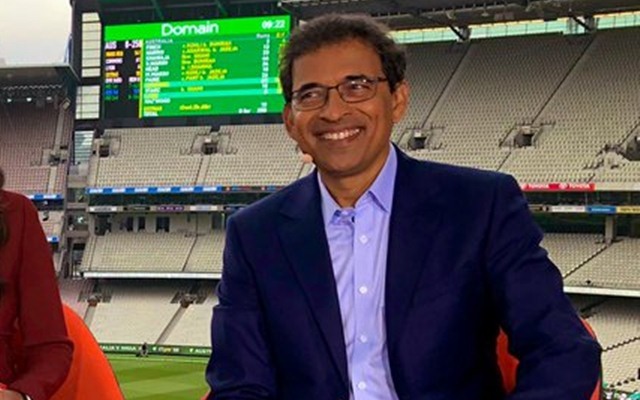 Bhogle said that Karthik made the decision in the heat of the moment before stating that even a single would have not made much of a difference. “Lot of talk about Karthik turning down the single like Dhoni used to. He was in great touch, was backing himself. In the heat of the moment you do things by instinct. He will realise he should have taken it given Pandya was hitting well. Not sure would’ve made a difference though,” tweeted Bhogle.